Through exercises in each chapter, you'll try out programming concepts as you learn them. Think Python is ideal for students at the high school or college level, as well as self-learners, home-schooled students, and professionals who need to learn programming basics. Beginners just getting their feet wet will learn how to start with Python in a browser. Foster Provost is Professor and NEC Faculty Fellow at the NYU Stern School of Business where he teaches in the MBA, Business Analytics, and Data Science programs. He previously was Editor-in-Chief of the journal Machine Learning. His award-winning research is read and cited broadly. Prof. Provost has co-founded several successful companies focusing on data science for marketing and advertising. 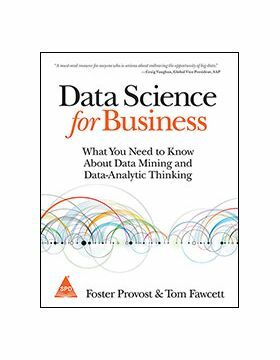 Tom Fawcett holds a Ph.D. in machine learning and has worked in industry R&D for more than two decades (GTE Laboratories, NYNEX/Verizon Labs, HP Labs, etc.). His published work has become standard reading in data science both on methodology (e.g., evaluating data mining results) and on applications (e.g., fraud detection and spam filtering). Chapter 7 Decision Analytic Thinking I: What Is a Good Model?